Paypal is one of Vodien’s chosen merchant credit card processing companies. 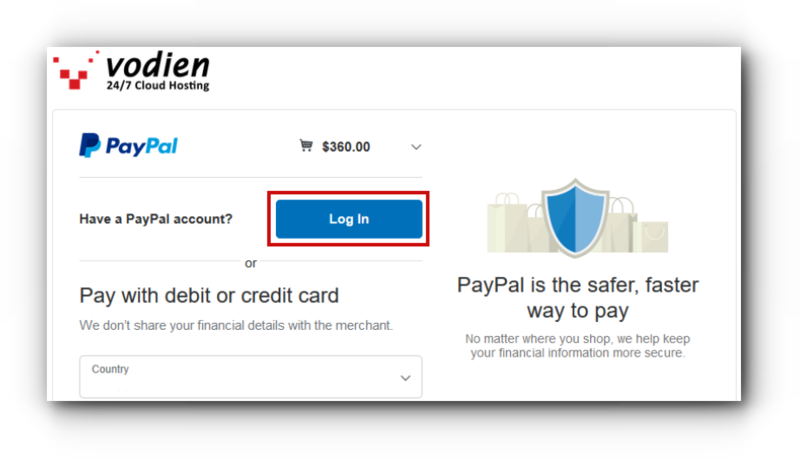 All credit card transactions are performed and processed on PayPal’s secure server, therefore, Vodien will not have and will not retain any of the client’s credit card information. This also means that all payment transactions made with Vodien are safe and secured. 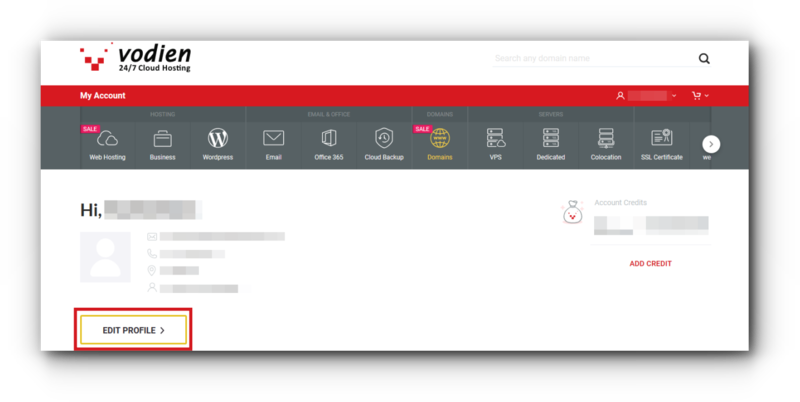 Click on your Profile Name at the top-right corner of the home page and select Billing History from the drop-down list. Or, you can click Edit Profile, then select Billing History from the left-side menu. Click on an Invoice # under Invoices Due, then click Pay Invoice. 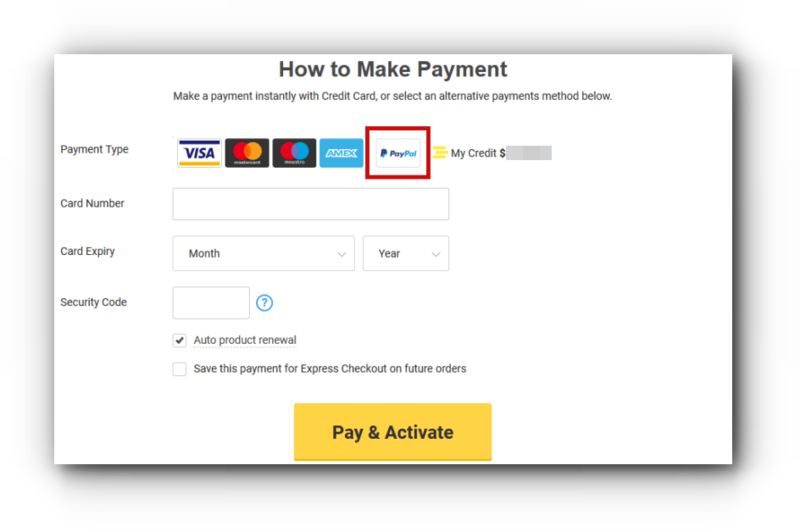 Click on Paypal to set it as your Payment Type. Click on the Continue to PayPal button. 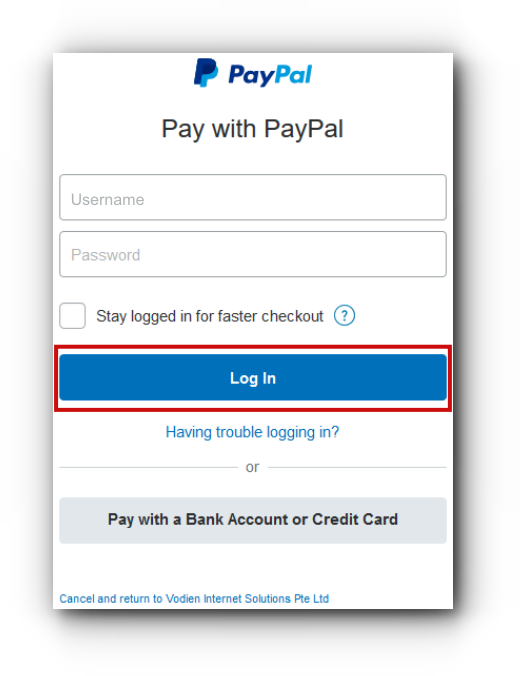 Click the Log In button under PayPal. 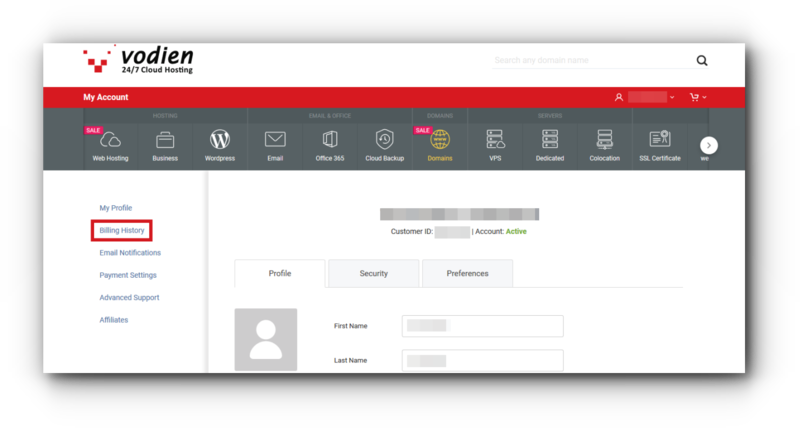 Enter your PayPal account username and password then, click Log In again. After successfully connecting to PayPal, your credit card information will appear. Click Pay Now to complete the transaction.